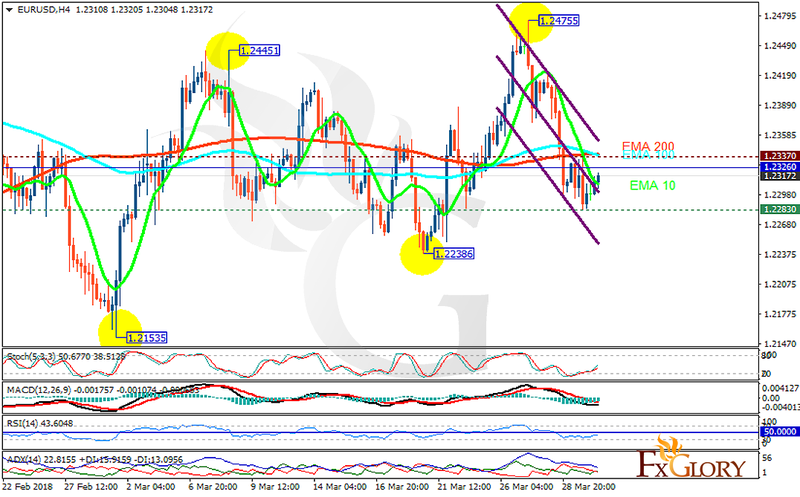 EUR is getting weak due to the long holidays ahead and at the same time USD is getting empowered. The support rests at 1.22830 with resistance at 1.23370 which the weekly pivot point at 1.23260 is located in between the lines. The EMA of 10 is moving with bearish bias in the descendant channel and it is below the EMA of 200 and the EMA of 100. The RSI is rising towards the 50 level, the Stochastic is showing upward momentum and the MACD line is below the signal line in the negative territory. The ADX is not showing any clear signals. EURUSD will be consolidating within the support and resistance area, however, the support level breakthrough will smooth the way for 1.21 floor.